CIA’s new campus is the cover story for Properties Magazine’s November issue. 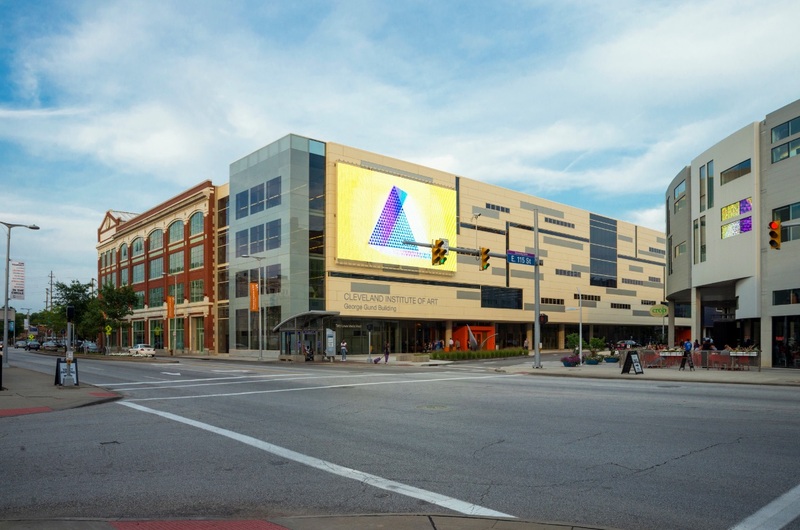 Panzica Construction completed the 92,000-square-foot, $23 million George Gund Building in the University Circle area of Cleveland, unifying Cleveland Institute of Art’s campus operations and student activities in the centralized uptown neighborhood location. The airy, three-story atrium and oversized windows at the ground level, stream light into the building and offer views of bustling student activity. Adjacent to the Museum of Contemporary Art, the new CIA campus, with a high-definition media mesh installed above the main entrance is a long-overdue mainstay for the university and a welcome addition to the art hub of Cleveland.